Kuldip Sandhu was last seen on April 13, 2019 at around 7:30pm in the 6200 block of 150 Street. He has not been seen or heard from since. Kuldip is described as South Asian, approximately 5’11” and 170 pounds. He has black hair and brown eyes. He was last seen wearing light coloured blue jeans, a grey fleece zip-up sweater, and black dress shoes. Police and family are concerned for Kuldip’s well-being as it is out of character for him to be out of touch for this long. 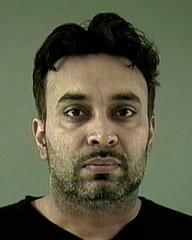 Anyone with information about Kuldip’s whereabouts is asked to contact the Surrey RCMP at 604-599-0502 or Crime Stoppers, if they wish to remain anonymous, at 1-800-222-8477 or www.solvecrime.ca.